An English producer has released the UK’s “first” hemp-infused gin inspired by a Celtic princess from 373BC. Princess Cambri Formosa used to teach women of her clan how to sew and weave with hemp, creating clothing, ropes and sacks. The use of hemp in ropes, sails and riggings continued into the Tudor dynasty and king Henry VIII of England made it compulsory for farmers to grow hemp during his reign. Now, co-founders Chris Puttick and Mat Graham have taken inspiration from princess Formosa for their inaugural product – Hin. Hin is made without the THC or CBD cannabis compounds; it is just infused with hemp. Other botanicals include lemon peel, pink peppercorn and juniper, though the remaining ingredients are being kept under wraps. 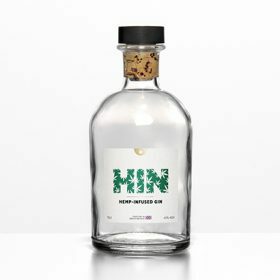 Bottled at 40% abv, Hin is available from hinsupply.com at an RRP of £40 (US$52) per 700ml.